Elizabeth Reid has been appointed to the National VET equity Advisory Council. Elizabeth Reid’s tireless work in increasing the engagement of equity students in VET and higher education has led to her appointment as a member of the National VET equity Advisory Council (NVEAC). 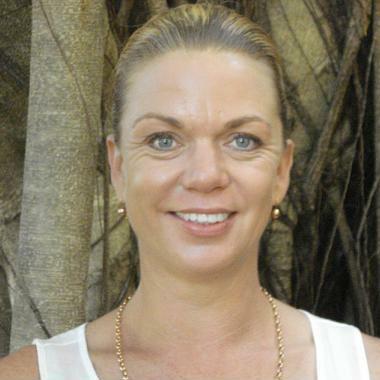 The NT National Disability Coordination Officer hosted by Support and Equity Services at Charles Darwin University, Ms Reid will use her expertise and experience in equity issues training, higher education and employment. Deputy Prime Minister, Julia Gillard MP recently announced the inaugural council members which have been drawn from private, community and public training providers, unions, the higher education sector, employer and employee groups and student voices. Ms Gillard said she believed that increasing the engagement of equity students in VET, as well as higher education, was important in addressing social inclusion and participation in the workforce. Ms Reid said she was flattered at her appointment and the opportunity to further promote all equity groups. “Increasing the awareness and influencing key stakeholders about equity reform will be a major challenge which I’m looking forward to,” she said. In November 2008, the Ministerial Council for Vocational and Technical Education (MCVTE) agreed to establish a new, single layer equity advisory body to provide high level advice on matters relevant to improving both the performance of Vet equity students and the national VET systems in support of these students. NVEAC will report to the new Ministerial Council on Tertiary Education and Employment (MCTEE).